Durum wheat: the most classical Italian variety. 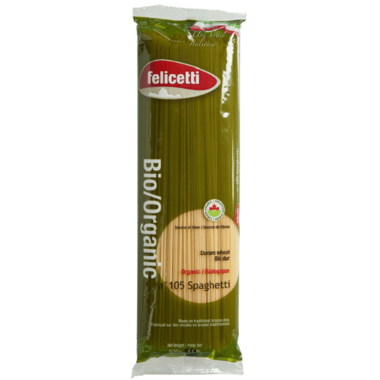 This Felicetti pasta is organic, Kosher and non-GMO. Made in Italy. Ingredients: organic durum wholewheat semolina.